The Swedish gaming equipment manufacturer, Xtrfy, has taken steps to enter the Australian gaming market by teaming up with the nation’s top esports team – Grayhound Gaming. This will tie in with the revelations that Xtrfy will now be selling their esports hardware in famous Australian electronics stores such as Mwave and JB Hi-fi. We’re excited to tell you that we’ve entered Australia and partnered up with the amazing @grayhoundgaming! The Australian esports scene has been enjoying a period of rapid growth in recent months, and by partnering up with Grayhound Gaming, Xtrfy will be hoping that they make a big splash in this dynamic industry. Grayhound Gaming have earned plenty of acclaim for their excellent run of form in many top Counter Strike Global Offensive tournaments. This was best-seen when they manage to defy the doubters by earning themselves a very credible runner-up position behind Vici Gaming in the Asia Minor in Katowice. Whilst this outstanding result was tempered by the fact that Grayhound Gaming could only get a 23-24 place finish in the Major, it still showed that Australian esports teams could easily take on the best in the world. Xtrfy went on the charm offensive in their bid to form a strong relationship with Grayhound Gaming at the Katowice Major. This saw Grayhound players like erkaSt given a specially signed mouse pad from the CSGO legend, f0rest. But it’s the sheer technical excellence of Xtrfy that won over the hearts and minds of the Grayhound Gaming team. By giving the players chance to try out the Xtrfy gaming keyboard, Xtrfy showed that they have the tech necessary to help Grayhound take things to the next level. Xtrfy are well known for developing a series of high-end esports products. These range from quality headsets, to high-performance keyboards and mice. What takes Xtrfy up a level is the fact that they have developed their products with the assistance of their other sponsored team – Ninjas in Pyjamas. As a result, gamers can benefit from products that are specially designed to be able to handle the rigours of even the most chaotic competitive gaming session. 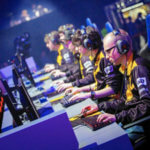 Such moves from Xtrfy to team up with esports teams like Ninjas in Pyjamas and Grayhound Gaming are especially well timed as rival brands like Razer have been using similar methods to show off their gaming hardware. Razer have already formed partnerships with legendary esports teams like 100 Thieves and SK Telecom T1, and such efforts have cemented Razor’s reputation for gaming hardware quality. However, Razer have recently been greatly expanding their reach to start strategic partnerships with the likes of U Mobile to implement 5G trials and e-payment platforms. Such moves show how Razer is starting to think about the bigger picture and how they can diversify their incomes. As a result, Xtrfy will be hoping that their bid to cater to the niche area of esports hardware could be especially well-timed. And with a new partnership deal with one of Australia’s best esports teams, it’s going to be fascinating to see where Xtrfy go from here. Kentucky Fried Counterstrike… the KFC Esports Battle is here!